Labor shortages in the southeastern Wisconsin food and beverage industry are pushing employers to raise pay and experiment with new hiring strategies to staff their operations. The tight labor market has affected many industries in the Milwaukee area in recent years. Leaders in the hospitality sector, for example, said they were hiking wages to remain competitive in recruiting and retaining talent. The challenges are similar in food and beverage manufacturing. 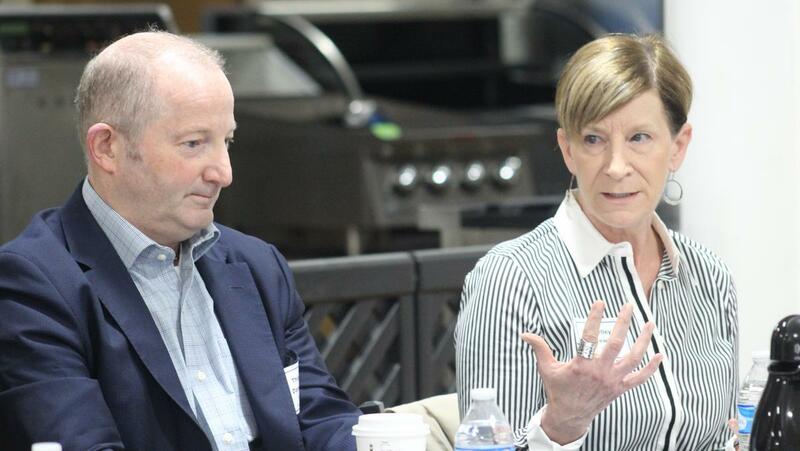 Executives in that industry shared at the Milwaukee Business Journal’s Food & Beverage Roundtable discussion Oct. 4 how they were trying to overcome the obstacles. At Cousins Subs, for example, chief executive officer Christine Specht said she recently brought in a senior director of operations and talent – with an emphasis on talent. The director’s main job is to focus on hiring the right people for the Menomonee Falls-based restaurant chain. She said the director can set expectations for employees from the start about company culture, for example. In two weeks, she said, he hired nine managers. Some manufacturers identified specific segments of their operations that they struggle to staff. For Tom Danneker, chief executive officer at Klement’s Sausage Co., Milwaukee, hiring employees for the professional side of his business is a "sweet spot.” Klement’s is large enough to offer those employees growth opportunities without significant bureaucracy, he said. Staffing the plant, he said, is the challenge. Klement’s relies heavily on temporary hires because it can’t find enough full-time employees. On some days, Danneker said, only a fraction of the temporary employees he is expecting actually show up to work. Danneker said he is raising pay for certain posts, but faces pressure on the price side as he tries to strike a balance. Improved technology has helped, though, because it allows employees to create more value. The same is true at Sprecher Brewing Co., Glendale, according to president Jeff Hamilton. Hamilton said the manufacturing side of his business faces low levels of turnover; some employees have stayed on for more than 25 years. On the retail side, however, he said Sprecher struggles to keep people working in the brewery gift shop. Hamilton said he’s raised wages for that work several times. Shelley Jurewicz, executive director of FaB Wisconsin, noted that the appearance of a business is important for employers who are looking to recruit. She said the curb appeal can play a role in where prospective employees gravitate.